One of the consequences of the Provincial government’s school-based full-day JK/SK program is an increase in the number of licensed child care centres being listed for sale. The sudden removal of so many four- and five-year-olds from the licensed child care system means that many smaller, neighbourhood child care centres simply can’t maintain their viability unless they make radical changes to the way they run their businesses. Not all owner/operators have the capital to make these changes, or the cash reserves needed to continue operations during the transition period. As a result, many more independent owner/operators are considering selling their facilities. If you’re among them. Sole Proprietorship and Partnership Owners of Child Care Centres (Asset Sales) interested in selling their businesses now require up to 12 - 18 months or more to complete the sale subject to the Ministry of Education's capacity to approve a Buyer's new license. This makes selling a Sole Proprietorship or Partnership near impossible due to this time frame. 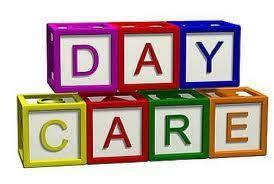 It is highly recommended all Sole Proprietorship and Partnership Child Care businesses INCORPORATE today. Selling an Incorporated business (Share Sale) is now the preferred method of selling a Child Care business and will transact within 2 - 3 months. To learn more about why you need to Incorporate or if you need a lawyer to help you Incorporate, please call my cell at 647 284-8885 647 284-8885 and I will be happy to discuss this issue with you. Be sure to avoid these common mistakes. It’s never easy to sell a business. It doesn’t matter what kind of business it is. To get the best price for your centre, you’ll need to spend considerable time ensuring that your premises are actually ready for sale. DECLUTTER, NEAT AND CLEAN SELL. I highly recommend you consider painting the centre. This is the least expensive way to give your centre a total facelift. Whether the buyer is new to the child care sector or a larger, multi-site child care corporation seeking to expand, they’re going to be more interested in facilities that are clean, organized and well-maintained. In addition to ensuring that your equipment and premises are in top notch condition, you’ll need to gather together all of the information potential buyers will ask concerning your centre. This information package will include among other things, Capacity of the Centre, Registered children, History of the centre, Square Footage, Number of Classrooms, Renovations/Upgrades, Income History, Lease/Mortgage Information, Number of Employees and a Breakdown of Registered Children. There are many other details that the Buyer will ask about. Remember, the Buyer is comparing your centre to others that may be available for sale. When you’re selling a child care centre, it’s important to work with a knowledgeable realtor or team that’s dedicated to serving your best interests. These are complex transactions that even a very capable and experienced individual would have trouble managing on his/her own. At minimum, you’ll need a commercial real estate broker with experience working with child care properties; a commercial lawyer who has experience working with child care centres or private schools; and a good accountant. Keep in mind, only about 10% of the people who inquire about the centre you have listed for sale are actually serious enough to have done their homework. They need to arrange for financing, to have a business plan, and to have already made contact with both the Ministry and the municipality. One of the big advantages of working with a knowledgeable team is that the team will not only have systems in place to help you prepare to sell your centre, but also to help prequalify buyers before they take up too much of your time. When a Educational Centre owner/operator first starts thinking about selling his/her centre, their first stop is often their accountant’s office. While having the insight of a good accountant is helpful, the numbers alone don’t always tell the whole story. A commercial real estate broker with experience in Educational Centres will often have a better sense of what a given facility is actually worth, particularly if he or she is conscientious about gathering and reviewing the Seller’s supporting documentation. There is no absolute price that a centre will sell for. The best any Realtor can do is to give you a ball park price subject to the conditions and trends at the time of listing the centre for sale. It is fair to say that a centre is only worth what a knowledgeable Buyer is prepared to pay and a willing Seller is prepared to take. 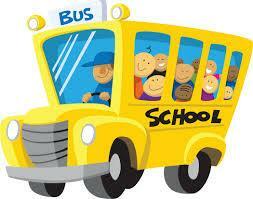 Note: The most likely Buyer for the centre will be found within the Daycare/Private School community in Ontario. The Buyer for your centre is not likely going to be the people who own the local restaurant or bowling alley. Before you invest time and money in preparing a package for prospective buyers or getting your centre ready to list, take some time to reflect on what is motivating you to want to sell your centre in the first place. In my own experience working with Sellers, sometimes the reason they want to sell is obvious—the person isn’t well or they want to retire. In many cases, however, the key motivator is simply that the centre is not doing as well as the owner/operator would like it to and he or she doesn’t know or nor has the available funds to turn things around. Not all owner/operators are confident as business people. A lot of times Educational Centres owner/operators are really devoted educators, who have just learned the business as they’ve gone along and what they really need is some business or marketing insight to help them overcome a specific challenge and get them back on track. If I get the sense that this is the case, I’ll usually suggest that the potential Seller try working with a business consultant, a management consultant or a marketing agency to resolve their issues rather than simply listing a centre for sale. When I’m speaking to a child care owner/operator about potentially listing a centre for sale, I ask them about a lot of things, including their overall marketing strategy. I also ask to see their current marketing materials. One of the things I’ve noticed is that a lot of centres simply aren’t actively marketing what they have to offer. In a lot of cases, if a struggling business invested as much in terms of time, effort and expertise on marketing its own services as we will to market the centre for sale, the owner probably wouldn’t need to sell it at all. There tends to be an assumption that because a centre is full, there is no need to market and advertise. Then, something changes and suddenly, the centre is in trouble. If I could offer business owner/operators just one piece of advice, it would be to market your program all of the time, even when your spaces are full. Things are constantly changing in the Education industry and your marketing needs to keep evolving as well. No matter what you ultimately decide about selling your centre, having a waiting list is definitely better than having vacancies. Municipality Reports Including Zoning, Building Permits Etc. Some of these documents may not apply to the sale of your business/property therefore you may disregard those items. Generally you will have 3 -5 days to produce these documents so it would be wise to gather these together today so you can make them available when necessary. Please make copies of originals.